Millennials: Trends, Characteristics and Perspectives provides an exploration into the diverse ways the Millennial generation is changing our world. The US Census Bureau puts the number of Millennials at 92 million as of 2017, making them the largest living generation in size, as well as the largest generation in the current workforce. Every generation has a unique social identity due to the formative events that shape its members’ values and influence their subsequent attitudes and behaviors. Yet, no other generation in history has prompted so much conversation, debate, and controversy as the Millennials. From the time they first stepped foot into our classrooms and workplaces, Millennials have been labeled as the “Me” Generation—considered entitled, with expectations exceeding their qualifications. Popular press headlines have lamented the challenges of working and living with this generation of digital natives who were raised by parents dedicated to protecting their children’s self-esteem and handing out participating trophies. However, academic research has been a bit more tentative in its conclusions. Scholarship on generational differences has explored whether the Millennials are really as different as we have been led to believe, or whether all the headlines have been much ado about nothing. To date, research has yielded mixed results, finding similarities between generations in some areas of interest, and marked differences in others. Regardless, from education to technology to their impact on how we manage, lead, and work within our organizations, every industry has felt a shift because of this Millennial force. 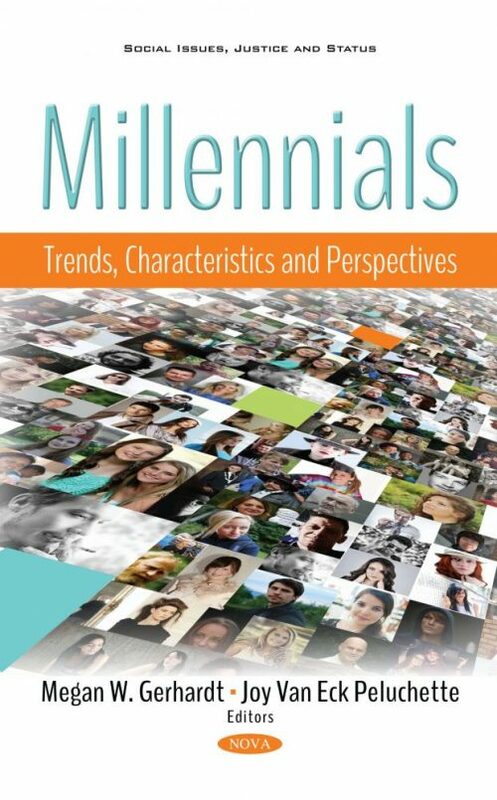 This volume explores the wide range of elements that make Millennials the subject of so much attention, bringing together the work of scholars from across disciplines to better understand this generation—the trends they are driving, the characteristics that differentiate them, and the subsequent perspectives that are creating significant shifts in how we live and work. Chapter 4. What Millennial Preservice Teachers Expect to Learn from Their Teacher Education Experience: Are They Receiving What They Need? Chapter 6. Millennials and Facebook: Are Men at Greater Risk of Cyberbullying Victimization Than Women? Chapter 7. Are Helicopter Parents Creating a Generation of WUSI Employees?